When does 2 + 2 = 1 ? When you combine two California Gourmet Organic Raisin pouches with two printed Do-It SHG Carry Handles. Together you get one, easy-to-carry two-pack that gets noticed in any store. 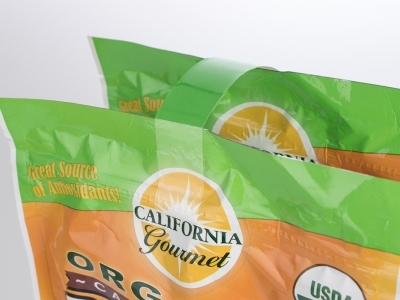 California Gourmet decided to use two Do-It Carry Handles on their 32 ounce pouches; one on the top to help carry the two packages and one at the bottom to help steady the combined items during transport.